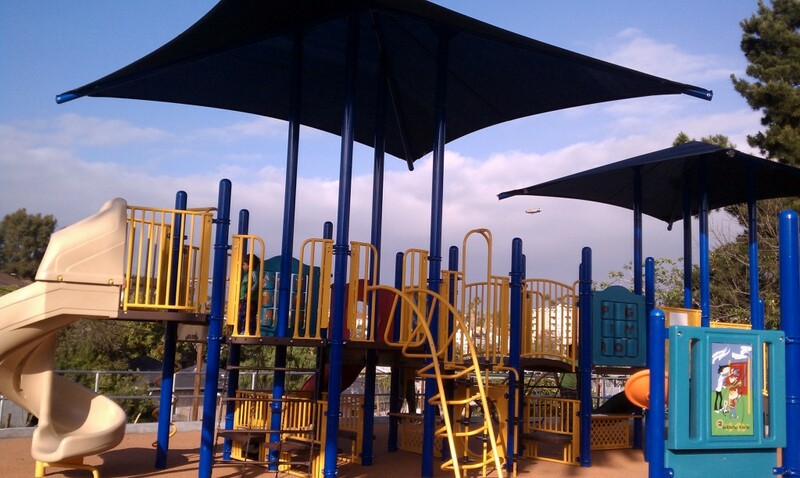 Echo Park welcomes a new community pocket park, Rockwood Park, a triangular half acre sited north of Beverly Blvd., west of Glendale, which now houses playground swings, benches, climbers, tables, and slides — oh, my! — for the athletic, high-energy Eastsider tyke. 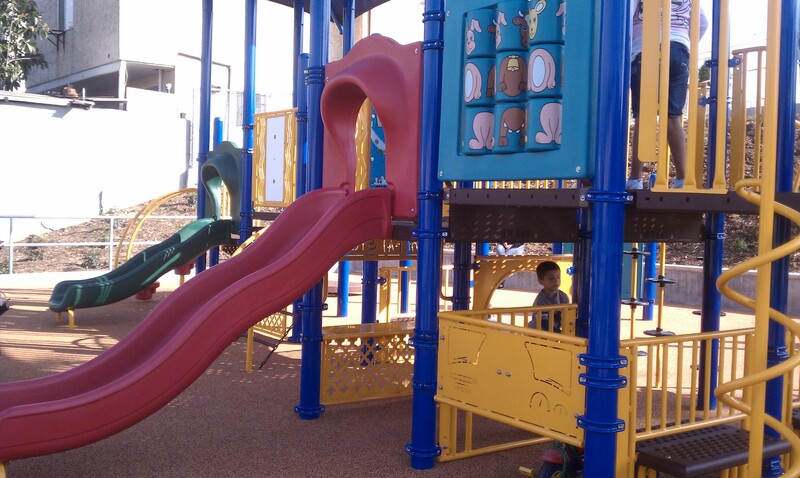 A water fountain, swishy floors, and solar-paneled lampposts complete the outdoor playground. 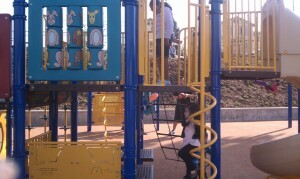 A friend’s 3 1/2-year-old had no problem making friends and joyously swinging about. In production since 2001, the EPA granted $400,000 from the Federal Brownfields program towards the site, furthered by Eric Garcetti’s Council District 13, the Department of Recreation & Parks, and the City Brownfields Team. Abandoned oil extraction wells were once housed on the park’s real estate. Location: the southwest portion of Echo Park in “HiFi” (Historic Filipinotown); hipsters and locals, add that to your urban dictionary. Official signage for the park has not yet gone up, but take Belmont Avenue off Beverly, then head east where Rockwood and Colton intersect. For super adventurous parents and kids, head on down the street to the Echo Park Pool.